"My iron body is invincible! So, beware!" 1:12 scale action figure straight out of the Street Fighter game series. 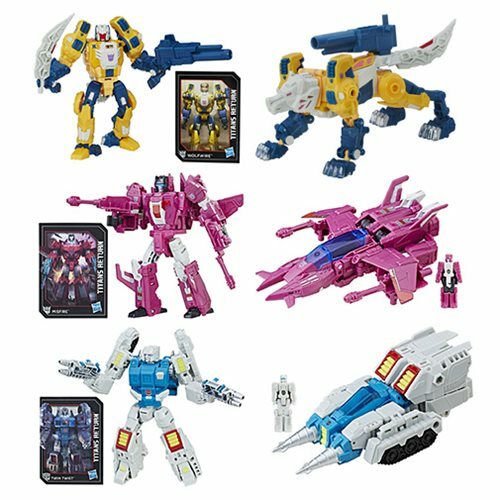 Includes interchangeable heads and hands, Cyclone Lariat effects, and a stand! 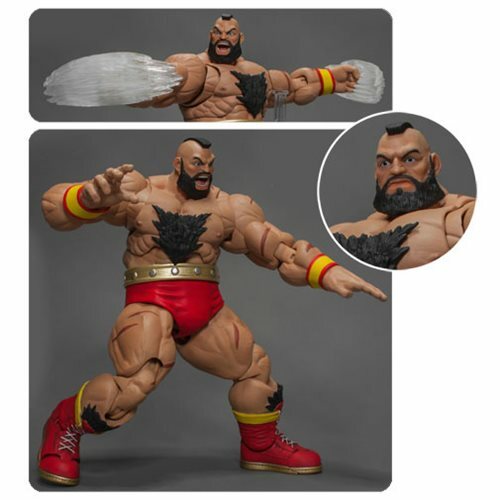 Storm Collectibles presents the Street Fighter V Zangief 1:12 Scale Action Figure, spotlighting one of the most popular and powerful characters in the Street Fighter game series. Zangief's fighting style is a mix of Russian and American pro wrestling, including his iconic moves, the Cyclone Lariat and the Bolshoi Russian Suplex. Recreate them with this awesome 8 1/4-inch tall figure that includes 3 interchangeable head sculpts, 5 pairs of interchangeable palms, 2 Cyclone Lariat effects, and a stand showing the Street Fighter V logo! HL Pro is proud to present Grendizer Duke Fleed Blue Gattaiger 1:1 Scale Helmet Replica! 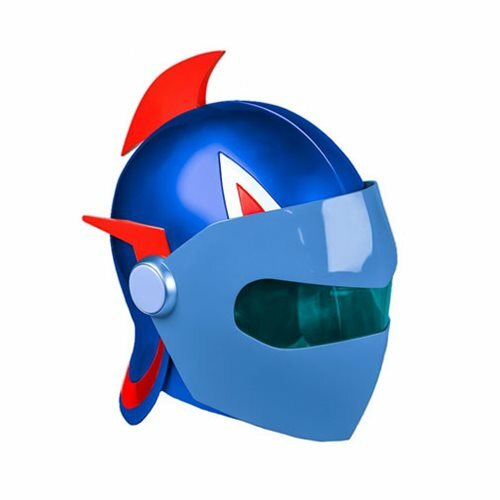 Duke Fleed is the main protagonist of Grendizer and pilot of the titular robot and wears this helmet during his adventures. Made of polyurethane material, this life-size helmet includes an adjustable fitting pad set. Approximately 21 1/2-inches in circumference. Motorized STRYFE blaster! Acceleration trigger powers up the motor for motorized blasting! Tactical Rail is compatible with most N-STRIKE accessories! Each sold separately. Quick Reload clip holds 6 Elite darts. Clip works with any Clip System blaster (sold separately). Includes 6 Elite darts. Fires darts up to 90 feet! Darts work with any Elite blaster and most original N-STRIKE blasters (sold separately). 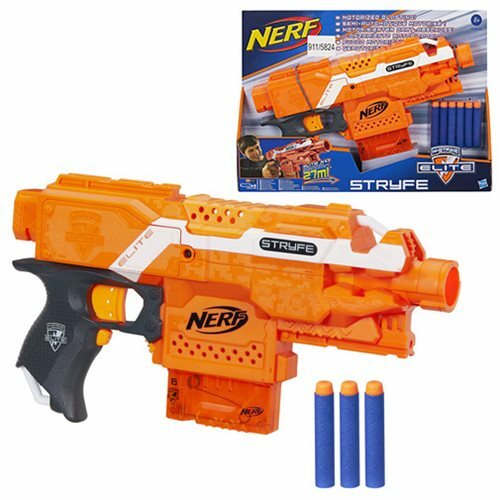 Blaster comes with Quick Reload Clip, 6 Elite Darts and instructions. Requires 4 "AA" batteries (not included). Measures approximately 13-inches long. Ages 8 and up. 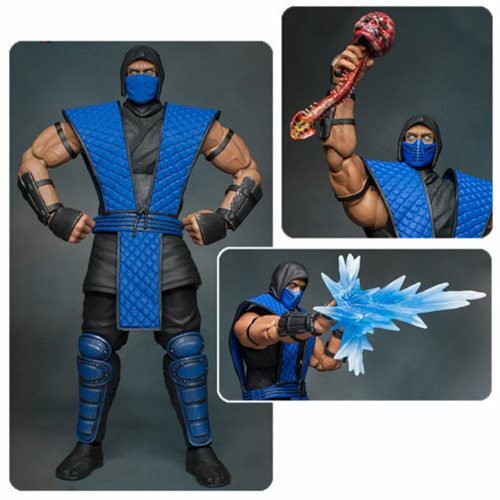 Mortal Kombat fanatics will love this fantastic Mortal Kombat Sub-Zero 1:12 Action Figure. Standing about 7-inches tall, it features over 30 points of articulation, a skull spinal-cord sculpt, 2 interchangeable masks, 9 pairs of palms, a firing Icing effect, and a sliding Icing effect. Ages 17 and up. Bring the world of Nintendo to life! 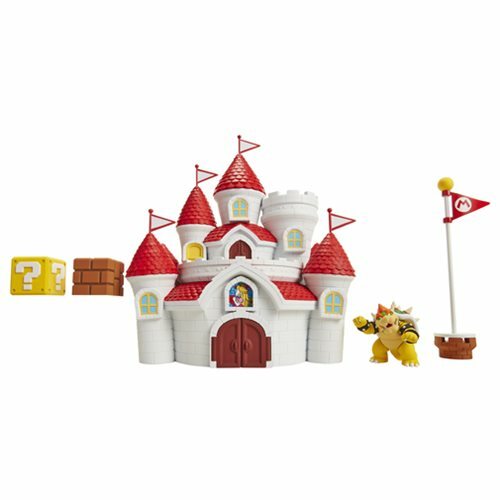 This Nintendo Mushroom Kingdom Castle Playset features some of your favorite characters in a fun, diorama playset. 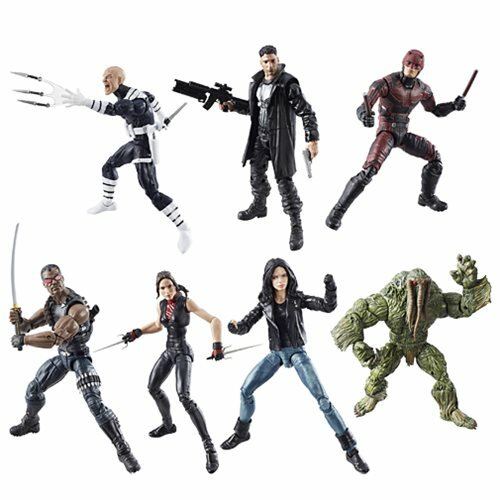 Play and pose your favorite characters and display the playset for hours of endless fun! Measures about 10 1/2-inches wide x 5-inches deep x 12-inches tall. 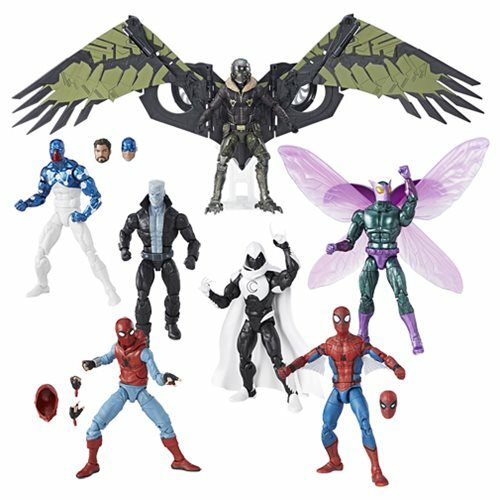 The Amazing Spider-Man Marvel Legends Action Figures Wave 8 bring back generations of Spider-Man in an awesome 6-inch scale action figure form. 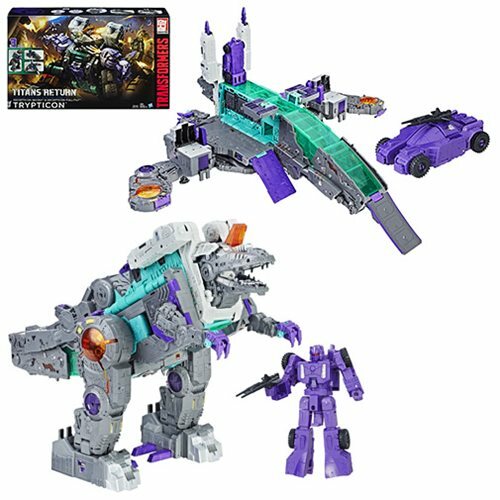 Each figure includes awesome accessories and amazing detail, plus a build-a-figure piece. Ages 4 and up. 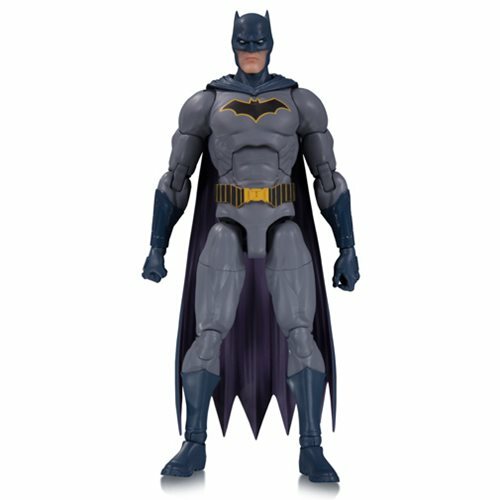 The DC Essentials line of 6 3/4-inch tall action figures based on DC characters with universal appeal, accessible to both long-time collectors and those just starting out. 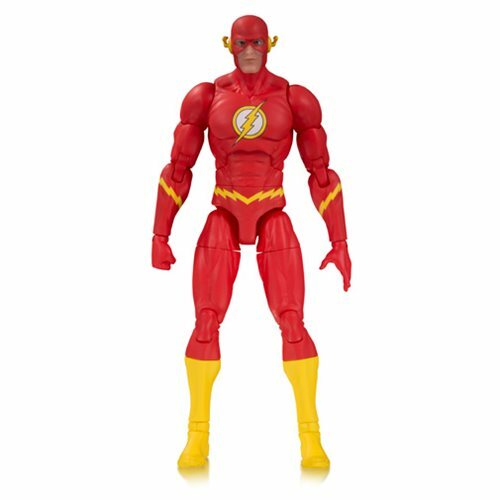 The fastest man alive races back to basics with beautiful intricate designs of Jason Fabok, stands at 6 3/4-inches tall and 19 points of articulation. 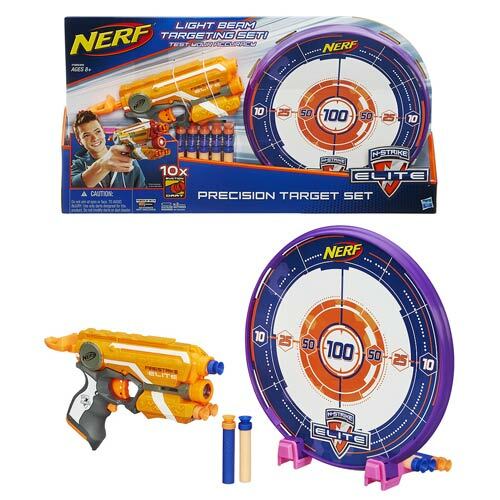 Test your accuracy with the Nerf N-Strike Elite Precision Target Set! The set includes everything you need for target practice: a Firestrike blaster, a target, and 10 Suction Darts in 2 different colors. Just stand up the target or hang it from a door, and take aim with the light beam when it's your turn. Your Suction Darts stick to the target, so you can see your accuracy improve with each shot! Sharpen your dart-blasting skills alone or take on a friend in a suction-dart showdown. Either way, you'll become a sharpshooter with the Precision Target Set. Measures approximately 9-inches. Ages 8 and up.